Come, join us for worship. We are a welcoming / worshiping community. 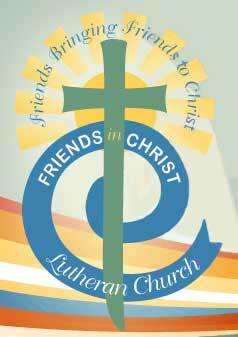 Friends In Christ Lutheran Church 1338 Clay Street Morris, IL 60450 Phone number is 815-941-1255 Traveling on 80 West going to Morris, take Exit 112 (Morris) and make a left at the ramp light (onto Route 47 South). Get into right hand lane. After the third stoplight, take the first right onto Waverly Street. If you are traveling east on Route 80 to Morris, take Exit 112 (Morris) and make a right at the ramp light (onto Route 47 South). Stay in right hand lane. After the third stoplight, take the first right onto Waverly Street. Once on Waverly Street, head west across Lisbon. At the next street, Clay Street, turn left (south). Our building is on the right.